Hurry over to save up to 50% on Converse Fall Favorites! 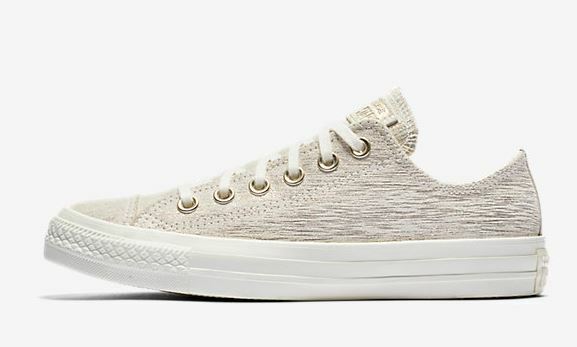 For example these CONVERSE CHUCK TAYLOR ALL STAR PRECIOUS METAL SUEDE LOW TOP WOMEN'S SHOES are on sale for just $34.97 (Retail $70)! If you have a Nike+ account (it's free to sign up), you'll earn free shipping on every order; otherwise, shipping is $8 or free on orders of $150 or more.